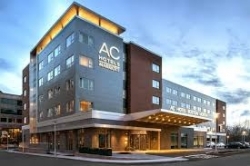 Trinity Street Capital Partners (TSCP), a full service real estate investment bank, announces the origination of a $28.5MM, 75% loan-to-cost, construction loan for the development of a 222 key, AC Marriott stay hotel in Atlanta, GA.
New York, NY, September 17, 2018 — The subject's improvements will be located along Roosevelt Highway, walking distance to the Georgia International Convention Center and the ATL Skytrain, with a 2 minute ride the Hartsfield-Jackson Atlanta International Airport. Hartsfield-Jackson Atlanta International Airport is the busiest and most efficient airport in the world and by some accounts, the best in North America. ATL is the economic jewel of Georgia, generating a $34.8 billion economic impact for metro Atlanta and providing more than 63,000 jobs on-site, making it the state’s largest employer. AC Hotels by Marriott is selective service chain of hotels, located across the globe, in Austria, Brazil, Denmark, France, Germany, Italy, Portugal, Poland, Spain, Turkey, United Kingdom and North America. The flag's amenities include dining, business services, meeting & conference rooms and banquet facilities for business and leisure travelers. The company was known as AC Hoteles S.A. until it changed its name to AC Hotels by Marriott in 2011 and was founded in 1998 in Madrid, Spain by Antonio Catalán.